Scaramucci was relieved of his role at the request of new Chief of Staff John Kelly, according to several reports. Anthony Scaramucci. (Image via the White House's YouTube page). Anthony Scaramucci has been removed from his role as White House communications director just 10 days after his appointment, according to The New York Times. The decision came at the request of White House Chief of Staff John Kelly, whose first day was Monday, according to the Times’ report, which added it was unclear whether Scaramucci would take another White House position. Update: White House Press Secretary Sarah Huckabee Sanders said Monday Scaramucci does not have a White House role. Scaramucci’s reported dismissal comes days after the former hedge fund chief called a reporter for The New Yorker and went on an expletive-filled rant about ex-colleagues Reince Priebus, the former White House chief of staff, and Chief Strategist Steve Bannon. Former White House Press Secretary Sean Spicer resigned on July 21 after reportedly raising objections to Scaramucci’s hiring. Sanders was named to replace Spicer that day. 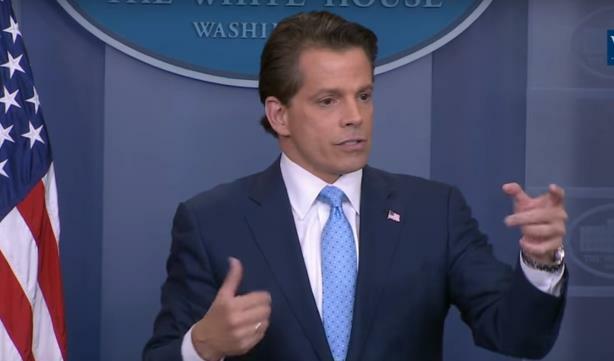 Several former White House communications directors told PRWeek last week that Scaramucci’s brash personality and a flawed reporting structure at the White House were to blame for his highly unusual first week on the job. Your call: Is Scaramucci an inspired or puzzling choice for White House comms director?